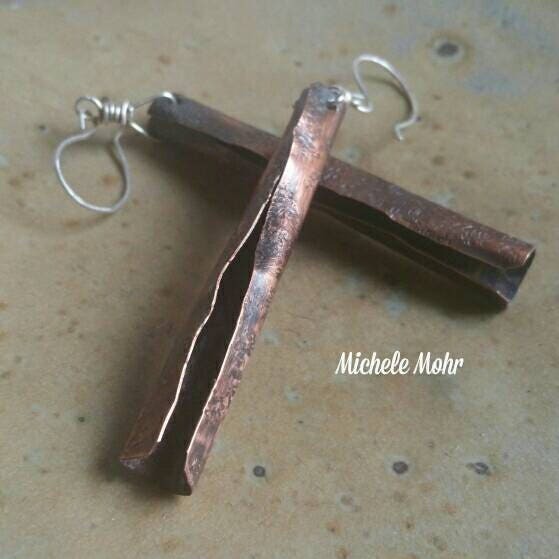 Created from 28 gauge copper sheet. Hand cut, hammered and formed. 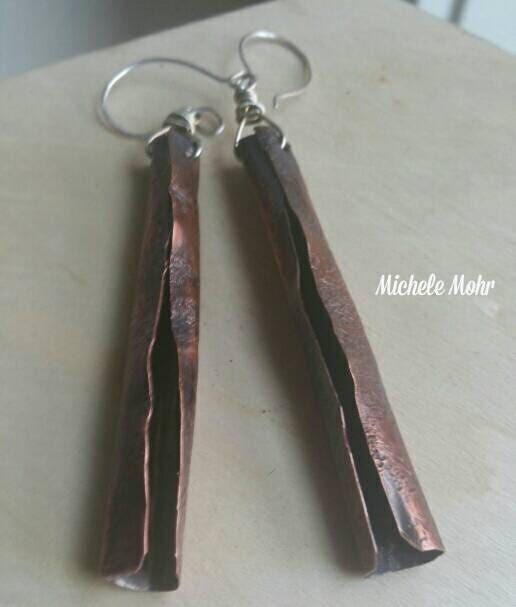 These long copper earrings are oxidized with liver of sulfur. Filed and buffed. Sealed with microcrystalline was. 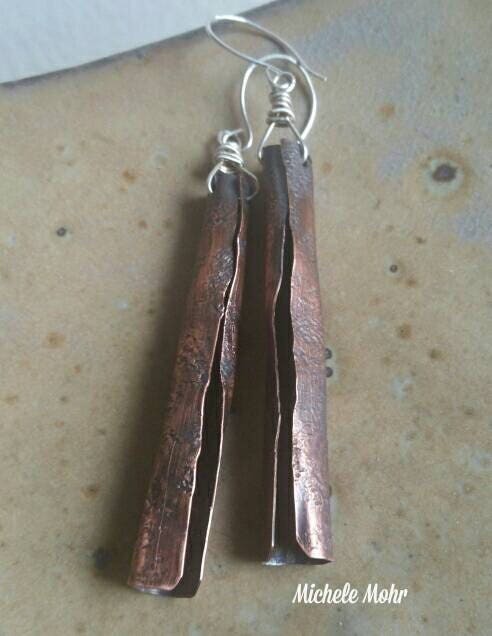 Approximately 3.5" in length including ear wires.